It’s important to regularly update your Garmin Nuvi GPS maps, content and software. Roads are constantly changing, being improved and redeveloped. Updating the maps and software on your Garmin Nuvi will ensure your GPS keeps up with these constant map changes. Garmin are the world leaders in GPS technology and use this experience to bring you some of the best sat nav maps available. Updating to the latest maps and software on your Garmin Nuvi will ensure your sat nav is reliable and up-to-date.Having the latest maps is a great way to help you drive on unfamiliar roads, so you can be sure to arrive at the right destination on time, saving time and money in the process. Why should you keep your Garmin Maps Updated? Garmin constantly researches ways that their maps and software can be updated and improved. Garmin map updates include roads, junctions, road signs and speed limits. Everything your Nuvi needs to calculate the best possible route to your final destination. Regularly updating your sat nav maps will give you extra reassurance and the latest picture of your journey ahead. Garmin GPS owners will also receive the latest business names, addresses, telephone numbers, opening times with a Garmin map update. Simply put keeping your sat nav up to date will help you save time and fuel by giving you more accurate navigation. In this map update guide, we’ll explain the best way to update your Garmin sat nav maps. You may even be eligible for FREE map updates using the Garmin nuMaps Guarantee program! We recommend only using official and genuine Garmin maps as 3rd party maps have been known to cause software problems. There are a few options available which will help you keep your GPS running smoothly and up-to-date. One of the most popular and easiest ways to update your Garmin Nuvi maps is with the Free Lifetime Map Updates option. Buying this map update just once will allow you to update your maps for the life of your Garmin GPS as soon as new maps become available. If you sign up and register your device with mygarmin.com you will be notified by email when new map updates are available. Garmin usually update their maps up to 4 times per year. This is the easiest way to keep your maps up to date. Another great option is a one-off map update purchase. Garmin owners can simply pay once for an updated map of their choice. Maps include City Navigator America, Europe and many other countries and regions. This is also ideal if you are driving abroad and require a map for the region you are travelling to. If you have recently purchased a new Garmin Nuvi sat nav then you are entitled to the FREE 90 day nuMaps Guarantee. This map update allows you to update to the latest maps within 90 days of getting your first satellite signal on your GPS. This map update is ideal if you have purchased a new sat nav that could have been in storage for a while. 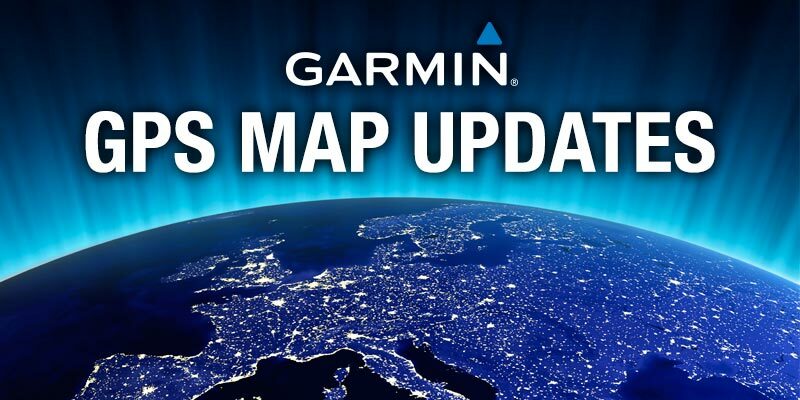 With the nuMaps Guarantee, Garmin offer their customers a one-off map update within the first 3 months of owning a new device, completely free of charge. Simply connect your Nuvi to you computer using a USB cable and visit www.garmin.com/mapupdates to see if you are eligible. With Garmin Express, keeping your Garmin device up to date is easy as you can imagine. Here’s how to get started. Start by going to garmin.com/express. And download either the Mac or Windows version. When it’s finished installing, open the Garmin Express application on your computer. Get started by adding a device from the Garmin Express home screen. After you plug in your device, you’ll be guided through the setup process. If you’d like, you may register your device quickly, by providing your email address. Registering will keep you in the loop about important product updates and exclusive discounts. Once your device is added to the application, you’ll be brought to its dashboard. This is where you will see all available updates for that device. If you have more devices to add, just click the home icon, to get back to the home screen. Anytime you want to view available updates for a device, select the device from the Garmin Express home screen. From a devices dashboard, you can install any available updates with just one click. Or view the details to learn more about the updates. You’ll be guided through the update process, step by step. Garmin will even let you know when it’s okay to walk away for a while. Because new maps hold more road detail and points of interest than the maps they’re replacing, they often take up more space. Garmin Express will help you if there’s not enough space on your device to hold this new data. If your device supports an SD or Micro SD memory card, you may need to expand a storage space on your device. Garmin Express will detect when you have a card inserted, and ask where you’d like the maps installed. If you don’t have a memory card handy, or your device doesn’t support memory cards, that doesn’t mean you can’t install updated maps. Garmin Express can provide you with regional map options that will fit the space you have available. Need more help with your device? No worries. Garmin Express gives you access to all paperwork that came with your device – including manuals and quick start guides. For more information about Garmin Express – including how to use it to back up your data, install new voices and more – visit garmin.com/express. If you are taking your car to a foreign country you will need to make sure you have the best maps installed for the particular country or region that you’re visiting. Garmin has worldwide mapping options available and at cheap prices. These maps are available either as a download or as a mircoSD card. Older Garmin Nuvi models have smaller built-in memory capacity so you’ll need to check compatibility before purchasing. If your Nuvi has a microSD card slot then go with this option as the chances are it has a smaller memory. It’s well worth investing in a map for your driving holiday so you can have peace of mind in a foreign country.